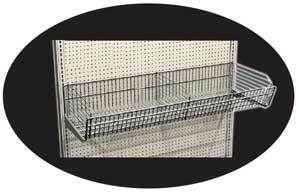 Lozier wire shelves and wire grid shelves for all types of snacks and candy that can be displayed on an angled shelf. 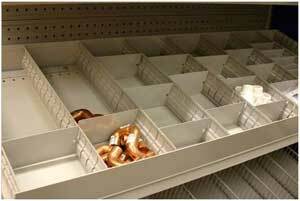 Metal binning shelf systems for Lozier wall and gondola shelving. Compatible with Lozier wall and gondola 4' or 3' wide shelving systems, 20" high X 15" Deep, three pockets each 10' high X 3 1/2" deep pockets. 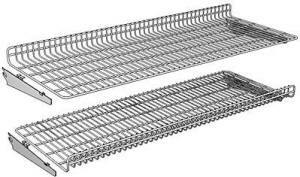 Compatible with Lozier wall and gondola 4' wide shelving systems, seven pockets each 7' high X 1 1/4" deep X 1 1/2" high lip, overall size 16" high X 48" wide X 16" deep. 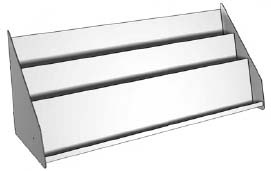 Compatible with Lozier wall and gondola 4' or 3' wide shelving systems, 8" high with 6" sloped front, features dividers and ends, connected to Lozier gondola or wall shelving systems with brackets sold separately. 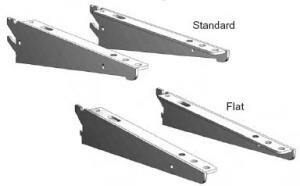 Fronts and dividers attach to shelf tops and can be used independently. Heavy gauge wire frames with vertical wire on 5/8's center. Fronts available in 3" & 6" heights and 36" & 48" widths. 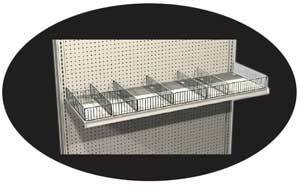 Dividers available in 3" & 6" heights and available for 10", 13", 15", 16", 17", 19", 22", & 25" deep shelves. 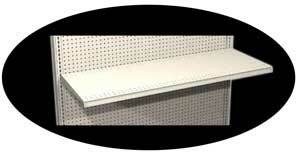 Standard store shelves for Lozier Store Shelving. 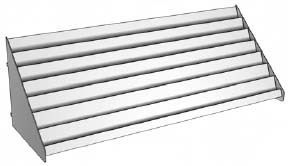 Compatible with Lozier wall and gondola 4' or 3' wide shelving systems, supports wood, laminated, custom shelves and counter tops, available in 1.5 degrees up slant, flat, 17 & 30 degree down slope, lengths available in 6 1/8", 9 1/8", 11 1/8", 14 1/8" 17 1/8", 20 1/8, & 24 1/8"